2 Queen size beds,TV., Balcony overlooking swimming pool. Sleeps 4. Full Kitchen with all your cooking amenities. Fully equipped Kitchen with all your cooking amenities. 2 Queen size beds,TV., Sleeps 4. Full Kitchen with all your cooking amenities. Balcony overlooking swimming pool. Community Shared Swimming Pool and Hot Tub, along with BBQ-Pits. Community Shared Swimming Pool and Hot Tub, along with BBQ-Pits. Community Shared Swimming Pool and Hot Tub, along with BBQ-Pits. Community Shared Swimming Pool and Hot Tub, along with BBQ-Pits. 1 Bedroom, 1 Bath, Full Kitchen; Efficiency. 1 Bedroom, 1 Bath, Full Kitchen; Efficiency. 1 Bedroom, 1 Bath, Full Kitchen; Efficiency. 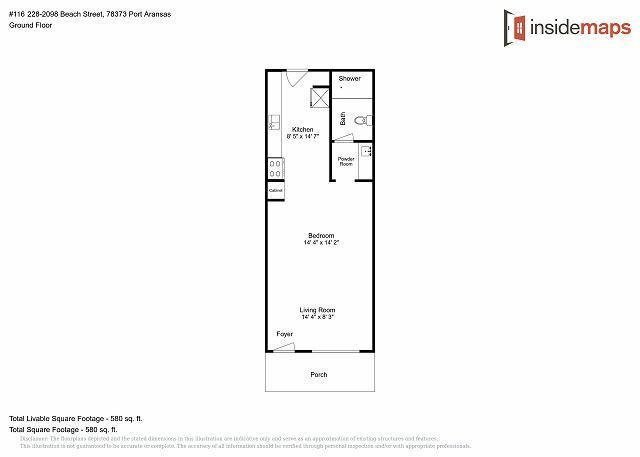 1 Bedroom, 1 Bath, Full Kitchen; Efficiency. Fully Equipped Kitchen with all your cooking amenities. Fully Equipped Kitchen with all your cooking amenities. 2 Queen size beds,TV., Balcony overlooking swimming pool. Sleeps 4. 2 Queen size beds,TV., Balcony overlooking swimming pool. Sleeps 4. Full Kitchen with all your cooking amenities. 2 Queen size beds,TV., Balcony overlooking swimming pool. Sleeps 4. Full Kitchen with all your cooking amenities. 2 Queen size beds,TV., Balcony overlooking swimming pool. Sleeps 4. Full Kitchen with all your cooking amenities. 2 Queen size beds,TV., Balcony overlooking swimming pool. Sleeps 4. Full Kitchen with all your cooking amenities. You will love this very nice updated condo that is located on the first floor of the Sea Breeze Condo Complex. All new appliances and fixtures including a large flat screen TV. The full kitchen is ideal for a small family of 4 with everything you need to prepare meals at this property. 2 Queen beds. Thank you for the review. This is usually a peaceful and quiet time of the year to come to Port A. We hope you come to visit again soon! Thank you for the review. We are so happy to hear that you and your family enjoyed your stay. We look forward to having you again. Thank you so much for staying with us. We are working on the issues with the sand washing into the when it rains. We are so happy to hear that you had a great stay at Sea Breeze. Thank you for taking the time to give us a review. Please come back to stay with again. Perfect location, family friendly and very comfortable. We are so happy to hear that you enjoyed your stay with us. Thank you for your review and come back soon! The rental was just as described, in great condition, and very close to the beach. They had great customer service as well. Thank you for your review of SB116, Happy to hear that the unit was to your liking, we agree that the Seabreeze suites are close to the beach and restaurants, come back and see us anytime. Thank you for submitting your review of SB116, we could not agree more that the unit is a great deal for a small family or 2 couples and is close to many of our local restaurants and businesses and also the most important part... The beach! came to Port A for work, hard to find places to stay since Harvey, wife booked through Life in Paradise, great place. Id stayed at this property years ago, back when it was operated as a hotel. The condo I stayed in is absolutely adorable! It was clean and OMG, felt like a lil home! Loved that it has a back door, onto grassy area for pets and pool. Its an end and bottom floor level so that was nice. I always found a convenient parking space, too. I was comfortable and slept incredibly well! Its also within walking distance to restaurants. Its just a cute and cozy condo!! Loved it!! We had a great time in Port A and the condo was a big part of our stay. We chose the perfect time to be there. We had the pool and hot tub to ourselves. I loved how close we were to the beach.